MONTREAL (AP) -- Cam Battley is a top executive at one of Canada's biggest marijuana companies, but he isn't sticking around to savor the country's historic pot legalization. 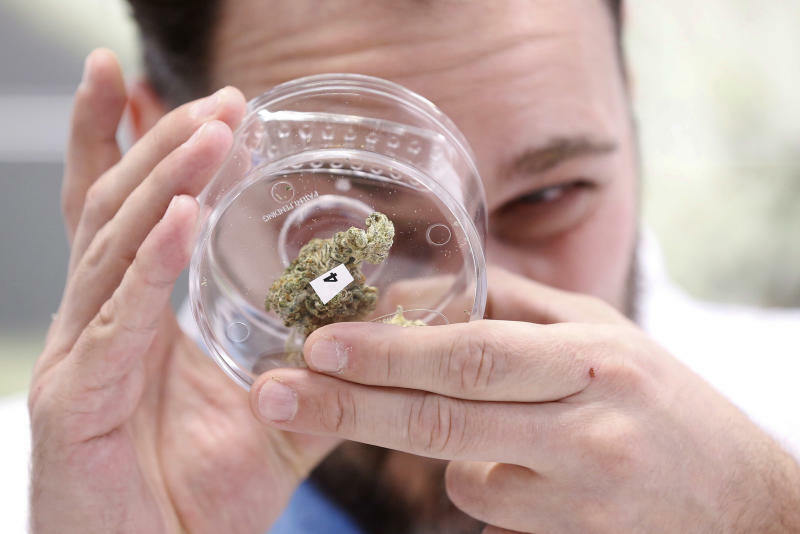 "It's a special moment, not just for Canada, but for the world because my strong conviction is that the rest of the world will follow suit," said Battley, chief corporate officer at Aurora Cannabis. "We're not known as wild and crazy. We're known for good public policy and I think they will follow our lead." "This is the genie out of the bottle," Walsh said. "Because of Canada's reputation for being fairly careful, for being a good global citizen, and because of the scale of their market, it's a more likely example for other countries." "Once you see Grandma and Uncle Ted using medical cannabis to manage their arthritis pain, suddenly the substance is not so scary and not so stigmatized," he said. "That opens up the space for countries to move forward with consumer legalization as well. I think Canada is at the forefront of a global mega trend." "I am going to frame it and hang it on my wall," said Power, 46. "I'm going to save it forever." "It's a candy store, I like the experience," said Vincent Desjardins, a 20-year-old-student who plans to apply for a job. "They can't come in the store, but they can see the line, see this important moment in Canadian history," Fencott said. "Legalization is about daylighting a lot of stuff that used to be in the shadows. Our kids are going to inherit this system, for better or worse, and I thought it was important for them to see this sea change in Canadian society."